Here is a pretty neat item I received for Christmas. It is an AM radio that receives only one station. 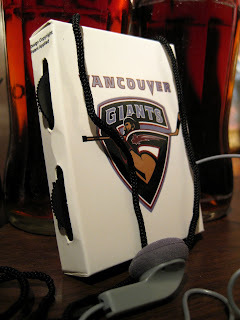 Giants games are usually broadcast on 650 CISL, which is the logo that is plastered all over the back and sides of this small 'playing card deck' sized cardboard radio. The odd thing is that the station that it receives (at least here at home) is CBC radio, which does NOT broadcast the Giants games. I guess this is for those who prefer to listen to classical music while watching a hockey game. 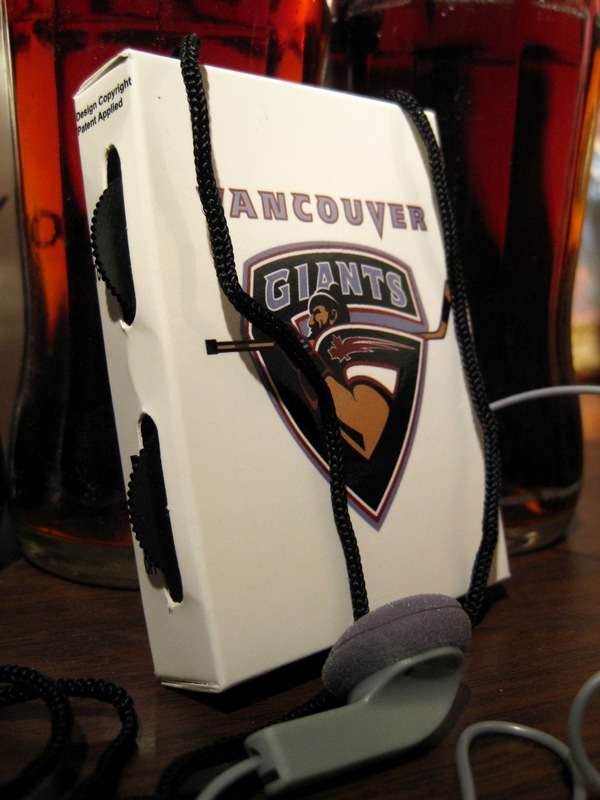 I myself, love listening to the play by play when I attend games, so I will have to remember to bring this with me next time I attend a Giants game to try it out. It has a single earphone, so it is truly a mono radio, and it comes with a string attached so you can wear it around your neck like a lanyard. It also has no way to open it up to replace the battery, so I guess this is a throw away radio much like those cheap throw away cameras you can buy. I wonder if it lasts longer than one game?